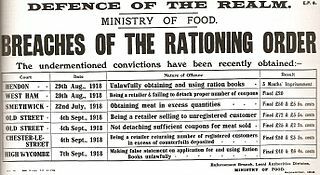 Wednesday 29th August 1917: Arrangements are being put in place for sugar rationing, which is to come into effect in October. Application forms for sugar registration cards are to be distributed to all households before September 30th. These will require information to be supplied for each member of the household. Local Food Offices will then issue sugar registration cards on which the householder will fill in the name and address of the registered retailer from whom he wishes to buy supplies of sugar. The card must then be handed to the retailer, who will keep the upper part of the card, and will sign and return the lower part to the householder. The redistribution of sugar supplies will not be completed until the end of the year, so during the interim period some retailers may not have sufficient supplies for all their registered customers. Efforts will be made to make local adjustments in order to meet any cases of hardship. Catering establishments such as inns, hotels, restaurants, canteens and coffee stalls will have to make a return every four weeks to the Local Food Office showing the amount of sugar received and used, and the number of meals served. 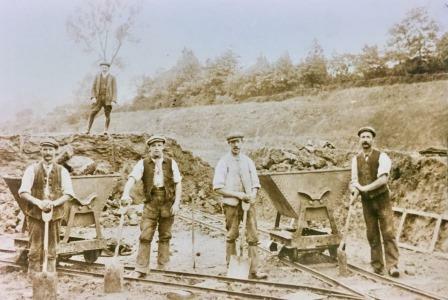 Monday 27th August 1917: Six employees of the Leagrave Works have appeared at the Luton Divisional Court where they have admitted damaging the clover belonging to farmer Alfred Fensome. A few weeks ago Mr. Fensome complained to the magistrates that people from the works were crossing his field and causing damage to his crops. He was promised police help. Last Thursday, P.C. Howe was with Mr. Fensome in Beechwood Road when he saw the defendants walking across the oats field. The oats had been cut and young clover was growing. He stopped the defendants, took their names and addresses and told them they were doing damage. They said they did not know the field was sown with clover, that they had just left the works and were going to dinner by a short cut. They all stated that they did not know they were trespassing as the fields were open, and alleged that the police had allowed other people to go over. One of the defendants, Harcourt Bromley, said he came from Australia where they could walk anywhere, and he thought it was the same here – the Clerk of the Court pointed out that there was rather more acreage in Australia. The Bench accepted that there was no malicious intent, but the Chairman said it was a serious matter and that crops must be protected in these times. The defendants were “let off” with a fine of seven shillings and sixpence each. 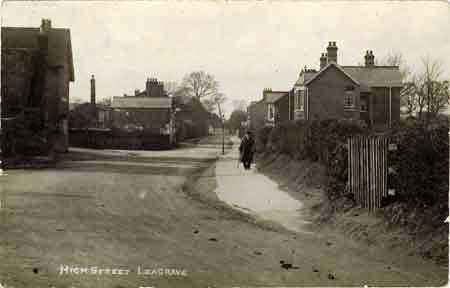 Friday 24th August 1917: Leighton Buzzard has today been “invaded” by around 240 officers and men of the Royal Engineers. Six squads of soldiers who had been taking part in a 36 hours exercise assembled at their designated collection point at Church Square and in the High Street. After replenishing their supplies of petrol they moved off to return to their depot near Dunstable. 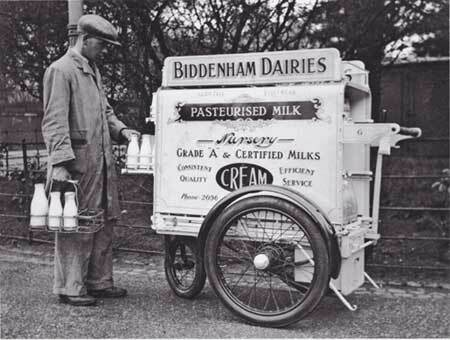 Tuesday 21st August 1917: Edward A. Greenaway of Iddesleigh Road, Bedford, has been fined ten shillings for selling watered down milk. Mr. Edward Fell told the court he had met Mr. Greenaway with a bicycle and can and asked for a pint sample of new milk. Mr. Greenaway said the milk was not his own, but that he had bought it. The next morning Mr. Greenaway called at Mr. Fell’s office and told him he had been very busy that morning, that his wife had helped him to wash out the churn but had left some water in it. When the sample of milk was tested, it was found to contain 11.8% of added water. Mr. Greenaway’s defence was that he had run out of his own milk so went across the road to borrow some from a neighbour. While he was away his wife washed out the churn. She was anxious about her son who had been reported wounded and went out in a hurry to look for the postman, leaving a small amount of water in the bottom. In the meantime he returned and filled the church with milk, not realising that there was water in it. He had been at Bedford for 27 years and in the milk trade for 16, without any previous complaint against him. 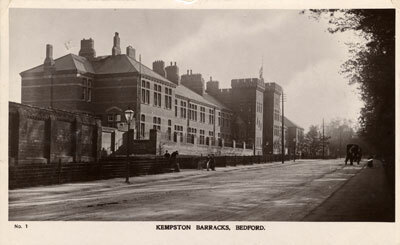 Saturday 18th August 1917: Private Christopher Augustus Cox of the 7th Battalion of the Bedfordshire Regiment has spent this week at the regimental depot at Kempston after returning from home leave at Kings Langley (Herts). 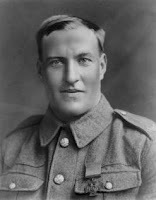 Two weeks ago he was invested with the Victoria Cross by the King, as a reward for his courageous actions at Achiet-le-Grand in March; these were described by our war correspondent https://bedsatwar.blogspot.com/2017/03/great-bravery-and-successful-attack.html at the time. At breakfast in the central mess room Private Cox was introduced to all the men in the depot and was given an enthusiastic ovation. 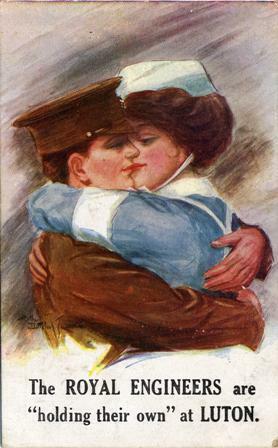 A tall and well-built man, wearing the VC ribbon and three gold wound stripes, he looked the picture of health. 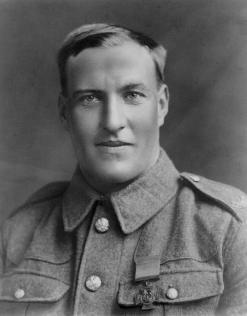 He told his colleagues that he was recommended for the Victoria Cross for bringing in a party of men under heavy fire on the battle field, but was too modest to go into detail. He reported that when the King pinned the Cross on his tunic His Majesty extended his hand to him in a friendly manner and said “Cox, you are a brave man and I am glad to shake hands with you. I hope you will have a long and happy life” . Christopher Augustus Cox died in 1959 at the age of 69. He was wounded in the foot in May 1917 and was not fit enough to return to the Front; he spent the remainder of the war training recruits. 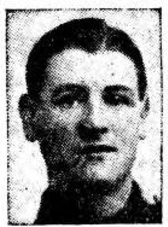 Wednesday 15th August 1917: A verdict of accidental death has been given at an inquest into the death of Arthur George Watson, who fell into a sand pit and drowned while gathering wildflowers. The twelve year old London boy had arrived in Leighton Buzzard on Saturday with his mother to stay with her brother at 18 Stanbridge Road. After dinner on Sunday Arthur and another boy were sent to Page’s Park. His mother told the inquest that about half an hour later the second boy came home and said “Help, Sonny’s in the water”. When she rushed to the pit she could not see her son, only his cap lying on the bank near the bushes. He had brought her some flowers that morning and had said he would bring her some more. He had suffered from infantile paralysis [polio] which had affected his hands, but he had the use of his arms. 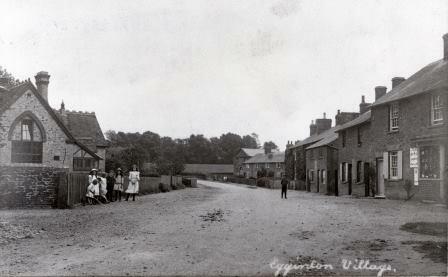 They had come to Leighton Buzzard for a holiday because the bombs in London had upset her. The last thing her husband said to Arthur before they left was “Don’t go near the water”. George Edward Charles, aged 8, who was also on holiday with his mother at 18 Stanbridge Road told the inquest that he, Arthur Watson and some other children went out for a walk and were told to go to Page’s Park. Sonny, as Arthur was known, had said “Don’t go there; it’s a rotten old place, and the bulls run after you; come to the sand pits.” When they got there Sonny left them sitting on the gate to go and get flowers for his mother. He fell near the water and called out “George”. The boy ran to him and found his friend in the water up to his waist. He got hold of him and dragged him onto the sand, then ran home to tell the boy’s mother. By the time he got back Arthur was in the water and could not be seen. There were boys on the other side of the pit but when he called to them for help they said they could not swim. Due to the difficulty of dragging the pit Arthur’s body was not recovered until the following day. A police officer said that when they began dragging the pit there were no marks on the bank, but the middle of a big bush of flowers of the type the boy had been gathering had been broken down as though something had fallen through it. There was also a bush floating in the water to which the lad had apparently been clinging. The banks of the pit were treacherous due to running sand, and there was no proper path. It would be almost impossible to get out where the boy fell in because of the steep bank. The pits were fenced off from the road and the lads were really trespassing. Both the Coroner and the police thought it would be very difficult to keep boys away, as if they were prevented from reaching one pit they would go to another. P.C. Cheshire said that this year people had gone “fishing mad”, with even the munitions girls going fishing. Friday 10th August 1917: This week has seen a complete shutdown of the hat industry within Luton for a holiday. This unprecedented event would have seemed unthinkable before the war, when few workers could have accepted the loss of a week’s pay. Wages are now two or three times higher than they were at the beginning of the war, and this relative prosperity has made the luxury of a holiday closure affordable. This is the time of year when preparations are made for the autumn styles. It appears that felt hats will be most in demand, and local factories have been producing them in readiness for several weeks. Velvet hats are also expected to be popular. For high-class goods Lisèrie hats with a uniform glossy surface are prominent. These are made from plaits imported from the Far East, but the hat makers are having considerable difficulty working with these plaits due to an inconvenient construction method. The export trade is depressed due to the insecurity of the ocean routes. 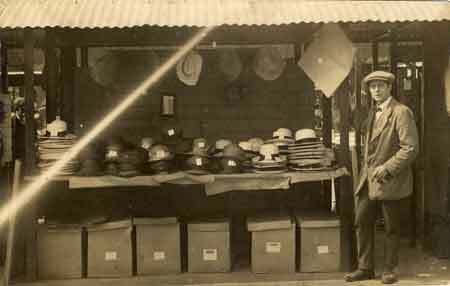 Hats are still being sent to the colonies where there is still good demand for men’s hats, although the home trade is much reduced due to the war. The workforce in the hat industry is largely female, so it has not suffered as much from military demands as other industries. However, it is already apparent that there will be a serious labour problem when the war comes to an end. 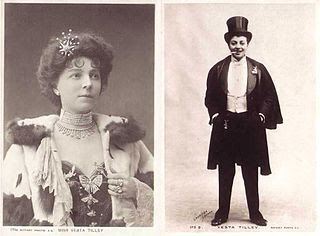 Young women have successfully taken on various occupations that were formerly considered to be men’s work. Will they be prepared to give up these jobs when the men return? 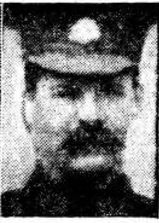 Wednesday 8th August 1917: A minor car accident has caused the death of Sergeant Herbert Henry North, the landlord of the Bell Hotel at Hockliffe. Sergeant North had served with the Bedfords during the South African War and rejoined the regiment for the present war. On Friday he was given seven days’ leave and was offered a lift from Kempston Barracks to Hockliffe by two Leighton Buzzard men. Although the car was only a two-seater all three men squeezed into the front seat, with Sergeant North on the outside near the door. Near Milton Bryan some partridges flew into the front wheels; without waiting for the car to stop, Sergeant North jumped out, apparently intending to run back and fetch a bird. However, when he jumped he lost his balance and apparently hit his head on the road. A doctor was fetched from Aspley Guise and the sergeant was taken home in an army ambulance that happened to be passing. His wife, Lizzie North, was out shopping when her husband was brought home; she returned to find him on the bed unconscious. He recovered slightly on Saturday, but died on Sunday afternoon. 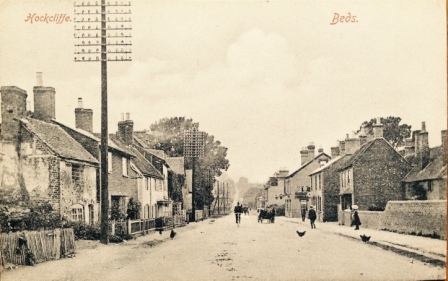 Mr Ernest Heady, a motor car proprietor of Bridge Street, Leighton Buzzard, gave evidence at the inquest that Sergeant North had said “There are some birds down; pull up and I’ll get them”. He had told him to wait until the car had stopped and slowed; when the car was almost at a standstill Sergeant North opened the door and stepped off in the opposite direction to that in which the car was going. Mr Heady saw him lying in the road. He spoke to him but could not get an answer so went for the doctor. He thought Sergeant North was in a hurry to get the birds as he thought they were only stunned and wanted to pick them up before they got away. He was known to most of the jury as a very excitable man. P.C. Racher of Eversholt said he was on duty on Woburn when Mr Heady drove up and told him of the accident. He returned to the spot with Mr Heady and found the soldier lying at the side of the road in a pool of blood. The doctor who attended Sergeant North at home said there had been an extensive haemorrhage from the injured man’s left ear and he concluded he was suffering from a fracture at the base of the skull in addition to concussion. The jury returned a verdict of accidental death. Saturday 4th August 1917: Lieutenant-Colonel Alfred Joseph Elton Sunderland of the Devon Regiment, the eldest son of the Reverent James Sunderland, Vicar of Eggington, had been killed in action. Colonel Sunderland was born in 1875 and joined the Devon Regiment in 1895. He served in the Boer War, where he took part in the relief of Ladysmith. As a result of his actions in South Africa he received the Queen’s medal with six clasps and the King’s medal with two. He was gazetted Major in September 1915, and temporary Lieutenant-Colonel in March last year. 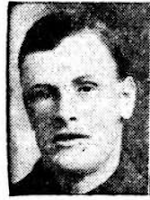 Wednesday 1st August 1917: An 19 year old Luton soldier has been dangerously wounded in the leg, just two days after returning from home leave. 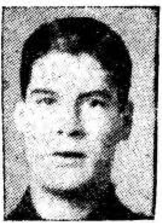 Private Arthur P. Marsh, the son of Mr and Mrs. George Marsh of 30 St Ann’s Road, Luton, is now in a base hospital in France with his leg broken by a piece of shell, but says he is “keeping on smiling”. Private Marsh was so anxious to join the Army that he enlisted in the Bedfordshire Regiment in 1914 aged just 16. He was previously wounded at Ypres, where he lost a finger. Arthur is not the only member of the Marsh family to enlist while under age. His brother, Albert, now aged 18, fought at the Somme for four months before his age was discovered and he was sent back to England. He is now back in training with the Bedfordshire Regiment. Their elder brother George, aged 25, served in the Territorials for six years before the outbreak of war. He was initially rejected for Army service, but rejoined a year later. He is now in Egypt with the Norfolk Regiment and has recently been promoted to corporal. Before the war both George and Albert were employed by Messrs. Brown and Green Ltd. The brothers’ father, Mr. George Marsh served with the Colours for just over a year but was then discharged through medical unfitness. He now works at Messrs. George Kent Ltd. It seems the family inherited their patriotic instincts from their grandfather, who was a Crimean War veteran. Sadly Albert and George did not survive the war. Albert died on 1st February 1918 and was buried at the Luton Church Burial Ground. Corporal George Marsh was killed on 11th December 1917 and was buried at Ramleh Cemetery near Tel Aviv in Israel.